Today the beautiful Red-shouldered Hawk joins Birdorable! With their distinctive markings, persistent call, and widespread range, the Red-shouldered Hawk is one of North America's most recognizable birds of prey. They are the most common buteo we see around here at Birdorable HQ (in central Florida). Both photos below were taken by us, very close to our home. 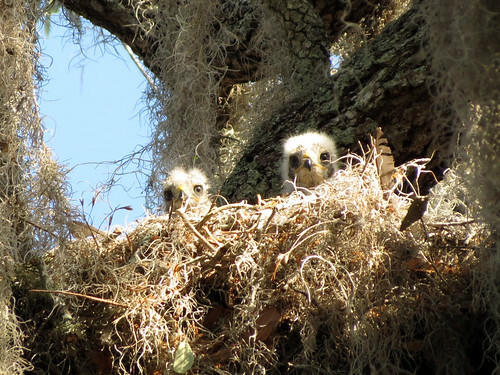 It was a lot of fun to watch the baby Red-shouldered Hawks grow up at our nearby nature park! 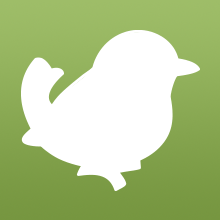 Tomorrow's bird is a species of sparrow with bold markings. Can you guess what it will be? 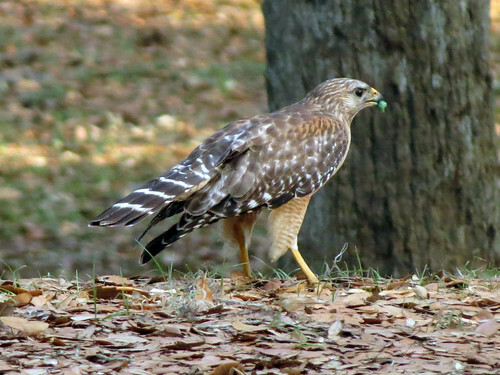 2 comments on "Bonanza Bird #14: Red-shouldered Hawk"
Might it be a white-throated sparrow? song sparrow?house sparrow?white throated sparrow?